São Paulo International Motor Show (Salão Internacional do Automóvel de São Paulo) is the biggest and the most important automotive event in Latin America. The 30th Edition of the show was held in São Paulo from November 8 to 18, 2018, with the ambition to inspire a connection between people and vehicle brands based on their shared passion for automobiles. 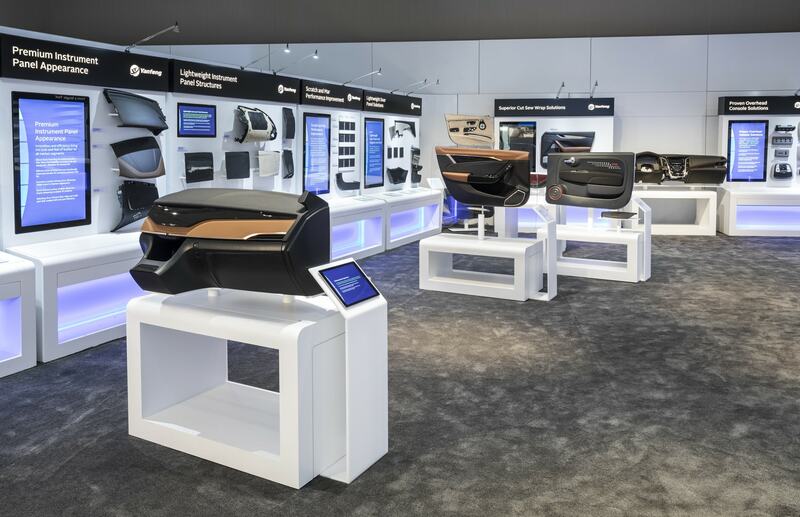 The show included a myriad of vehicle showcases, side events and interactive activities, test drives, and demonstrations of the latest technologies and trends in the market. UAU Group, a Brazilian creative agency specialized in emotive digital storytelling and innovative experience design, was hired to create a unique, bold, and immersive visitor experience for OLX, a global online marketplace. The project aimed to maximize brand awareness among show visitors by delivering an experience-based, multi-sensory exhibition. The concept was an automotive drive-thru comprised of multiple hardware devices paired with three interactive applications - two for use by visitors, one for use by booth staff. Installing Interactive digital signages at trade show booths can be an excellent way for brands to attract and entertain visitors, enabling companies to tell stories unhindered by spatial constraints. São Paulo International Motor Show was going to be filled with exhibitors doing their best to stand out from the crowd by employing such technology. Truth be told, OLX was no different in this quest. However, they had a uniquely complicating challenge: they weren’t promoting products, they were promoting an online platform for buying and selling services and goods. 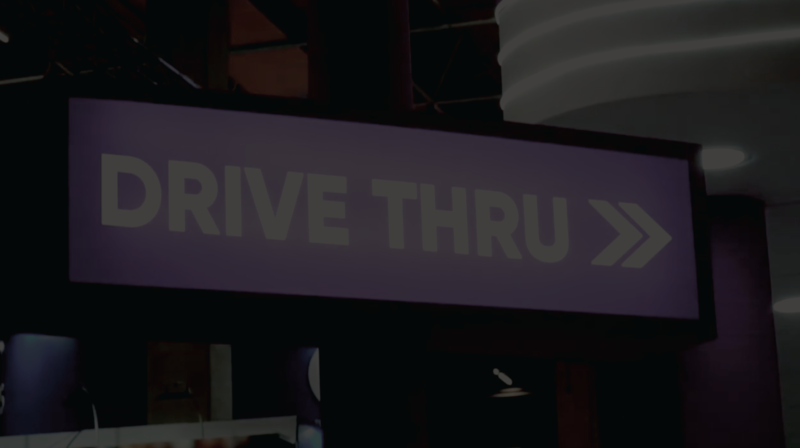 The idea of a drive-thru concept derived from OLX’s search for an experience-based exhibition method. Because the subject of their exhibition was not tangible, they needed to help visitors understand the scope and capabilities of the marketplace by replicating the online experience in physical space the best way possible. When UAU was appointed to the project, they started by establishing that the drive-thru experience needed to embrace the notion of vehicular motion, not just use of a touch screen display. They envisioned creating different physical segments within the interactive space, offering a tour through a sequence of activities: visitor registration, vehicle model selection, add-on selection, and check-out. The scenario would unfold as follows: Visitors start their trip through the drive-thru by checking in. From there they move to the next room where they select a car from among many options. Then, they proceed to a different space where add-on options are selected. Finally, after completing a “test drive” experience, visitors are invited for a souvenir snapshot which they can collect at check-out. In support of the idea to create a captivating sensory experience, UAU decided to integrate a set of diverse interactive technologies to deliver realistic effects that can mimic real-life actions and events. This implied that the experience would have to involve a significant level of information aggregation all accessible via a simplified interface for visitors. 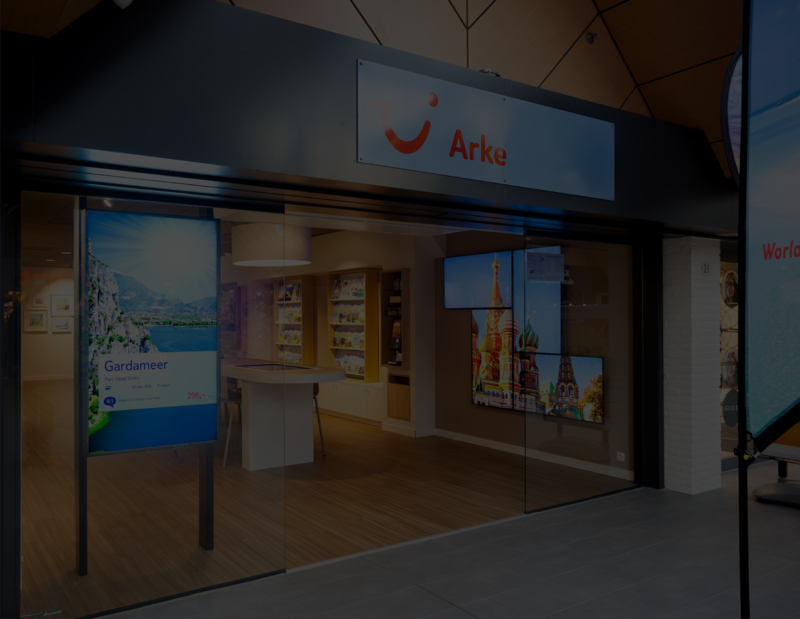 The platform also needed to support the remote control of diverse, integrated hardware devices because the intent was to have a booth operator orchestrate the visitor experience from a distance based on visitors’ decisions made throughout the exhibit. A significant challenge that could have jeopardized the quality and the feasibility of the project was the tight timeline. When UAU embarked on the mission, there were only 15 days left until the event. From the team’s experience, major international trade shows usually require a minimum of 30 days for creating a visitor experience. The tight schedule put an unusual strain on the team, especially taking into consideration the technical complexity anticipated for the experience development. As soon as the project blueprint was finalized with all challenges considered, the team realized that the successful delivery of the project would depend heavily upon the creation platform they use. UAU’s software platform choice for the exhibition was without a doubt Intuiface. Based on the team’s experience with the platform since 2015, they were well aware that no other software platform could enable them to reach the desired destination despite the foreseen constraints and goals. Specifically, UAU adopted Intuiface for this project based on its ability to work with connected devices, the ability to control an experience remotely and to communicate between Intuiface experiences, and finally the speed and ease of development and deployment. 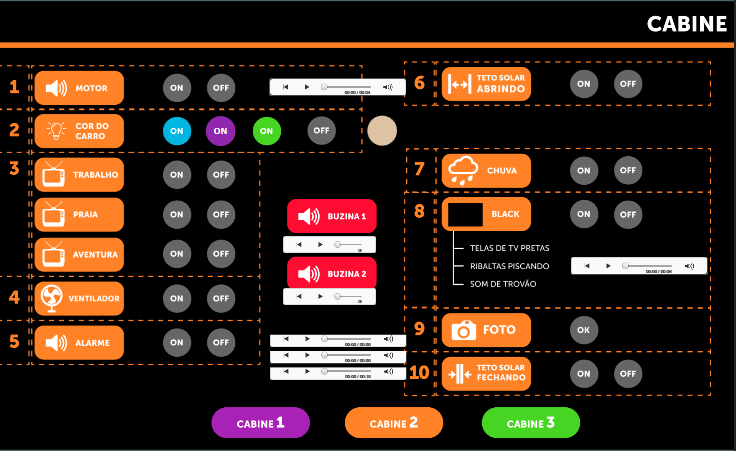 To realize spectacular audio-visual and atmospheric effects, the team integrated more than ten third-party devices with three Intuiface experiences. Those devices included speakers, backlights for an interactive screen, LED strips and bulbs, playback screens, a fan, and a humidifier. The challenge of integrating multiple devices was purely about the physical space because on the software side, owing to Intuiface’s Interface Assets (IA) feature, it was quite easy to connect Intuiface-based experiences to nearly any external data, business logic, or devices in real time. Operation panel application for a booth operator. All three applications were built to communicate with each other and to create a chain of cause and effect relationships using Intuiface’s Triggers and Actions and Remote actions features. For example, visitors’ token information entered from the Check-in application and all of the user actions made in the car and add-on selection application was sent to the operations panel, which the operator could control the connected devices. 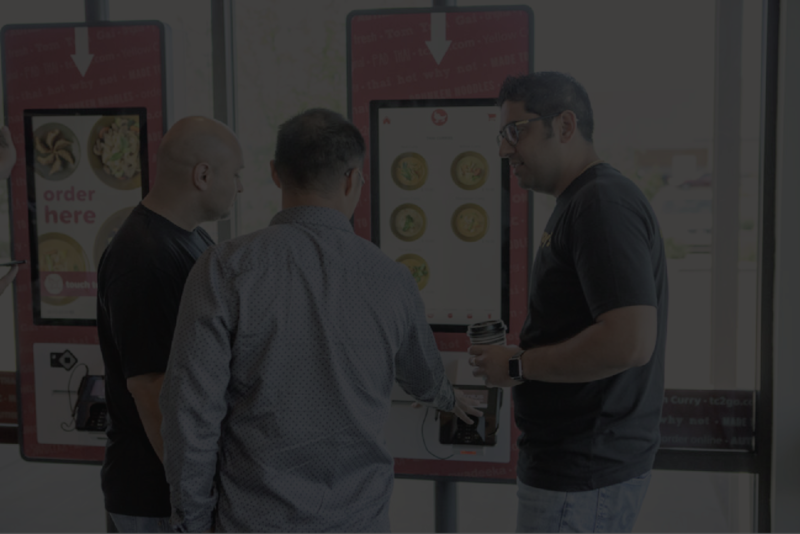 Furthermore, because the drive-thru experience needed to be up and running for nine straight hours a day throughout the entire show period, Intuiface’s ability to remotely deploy and do so easily, on demand, also gave the team a significant advantage. This meant that whenever problems were identified, UAU could troubleshoot from their office and redeploy the experiences without having to be present at the event. UAU’s achievement far exceeded expectations. Within less than ten days, the team successfully delivered an experience-based exhibition space that captured the attention of show attendees and to OXL brand. 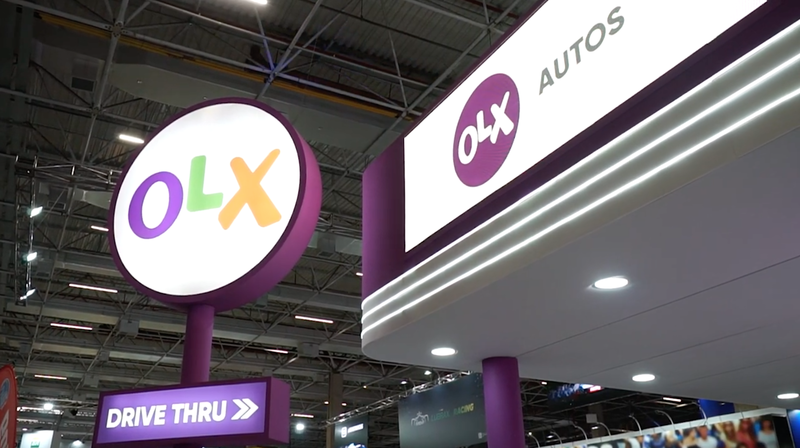 By enabling touch interactions with digital content as visitors moved through the booth, UAU was able to impart an entertaining, immersive exposure to the OXL brand. Using an Android tablet, visitors submitted token information which was then sent to a booth operator. Upon entering the room, visitors hear a pre-recorded experience guide launched by the booth operator using the Intuiface-based Operations panel. 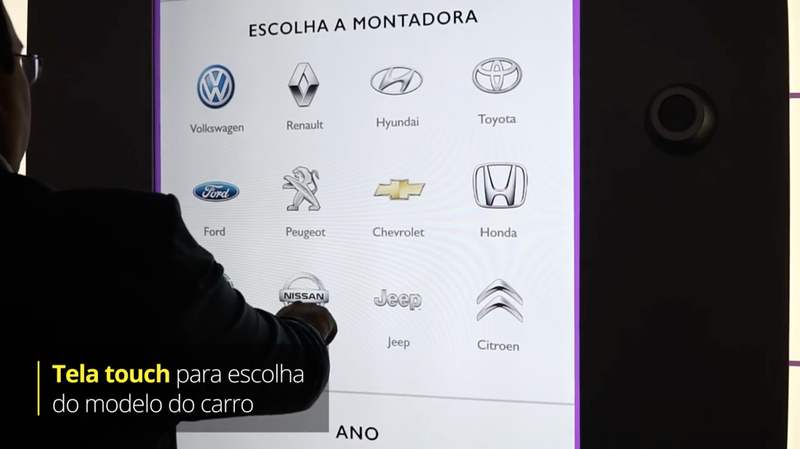 Then the operator uses the same Operations panel to turn on a touchscreen with backlights, signaling to visitors their ability to select a car. After the selection, LED strip lights on the floor, connected to the Operation panel, light up to indicate the path to be taken. Visitors are then invited to choose desired options and add-ons for the car. Each set of selections determined a set of specific audio-visual effects. The booth operator changes the color of the room by controlling LED Bar lights connected via the DMX protocol to the Intuiface-based Operations panel. LED bulbs are also controlled to create lightning effects. 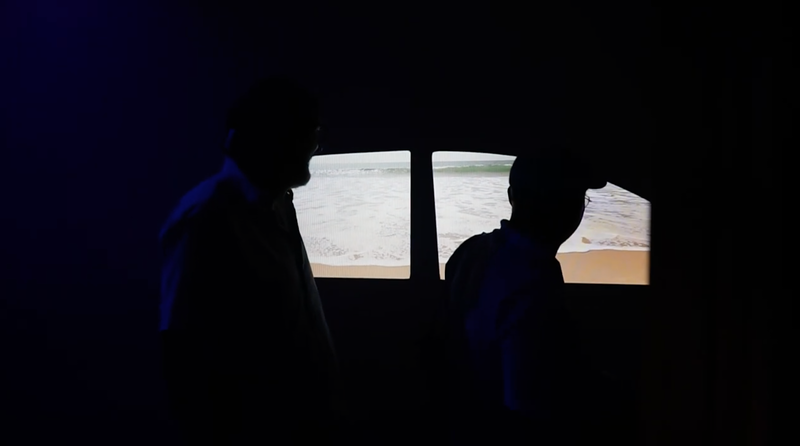 Based on visitors’ selection for the car usage environment, the operator plays different pre-recorded theme videos on side monitors to create different ambiances, either for city, beach or adventure. When the Sunroof add-on is selected, overhead screens play videos simulating different climates and light levels, and the operator plays different sounds accordingly. Also when the sunroof opens, a fan integrated into the experience creates a wind effect, and a humidifier simulates a rainy day — also controlled via the Intuiface-based Operations panel. A camera connected to the Operations panel takes pictures of visitors at the end of the add-on selection, and the operator confirms the presence pictures. These pictures are sent from the Operations panel to a printer via email, then collected by visitors at checkout. Marcelo Gebara Stephano, CEO of UAU group - recalling the success of the complex device integration and how the exhibitors from OXL were impressed by what the team was able to achieve on the fly - said, “When we presented the graphical interface, enabling the control all the devices, they were blown away”. He is confident that Intuiface will always be the first and only digital experience creation platform for future projects requiring complex device connectivity and a short timeline. UAU group is devoted to bringing cutting edge technology for delivering advertisements and events. UAU's portfolio includes holograms, augmented reality, mapped projection, motion detection among others. UAU has been delivering projects for more than 70 brands including big brands such as Anheuser-Busch InBev, Phillip Morris, and Banco Itau.